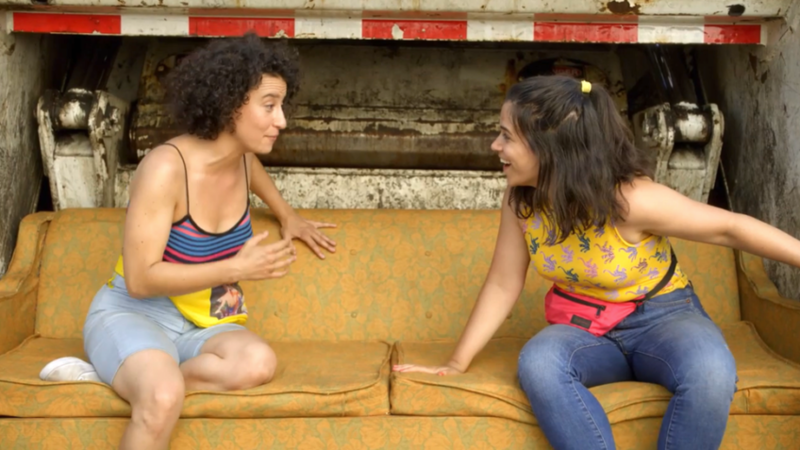 SXSW Q&A with "Broad City"'s creators and co-stars Abbi Jacobson and Ilana Glazer. …a dynamic which likewise played out behind the scenes at the network and during last month’s emotional SXSW tribute to the show as “Broad City”‘s creators and co-stars Abbi Jacobson and Ilana Glazer discussed the decision to end their buzzy, critically-acclaimed show, especially given the fact that doing so means the two real-life friends will no longer collaborate as closely or see one another as regularly as they have since they originally met, failed to make the mainstage company of the Upright Citizens Brigade improv troupe in New York City and instead collaborated on a DIY web series about struggling twentysomethings in Manhattan that would ultimately launch their careers. Finding the show’s humor and the right balance of autobiographical details to share with their characters led to occasional creative differences (like one of them, according to Glazer with a glance at Jacobson, putting in “a lot of fart jokes”).